As an aside, it’s also worth noting that while adequate levels of vitamin D are recommended for cancer prevention and many other benefits, it’s not always a case of ‘more is better’. There seems to be no evidence so far that excessive vitamin D offers any proven benefits, and indeed at extremely high levels, vitamin D can prove toxic. I don’t want to sound like I am saying ‘Mother Nature knows best’ but it seems she does! The perfect level of vitamin D is the level you would have is you spent your life outside as a hunter-gatherer, as our ancient ancestors did for hundreds of thousands of years. Before we built buildings and cars, before we invented tanning beds and sunscreen, before we had desk jobs and worked in windowless warehouses…when we lived in tune with Nature, our sun exposure and vitamin D levels were spot on. Who knew! Now here comes an interesting twist. While regular responsible sun exposure is proven to be beneficial and reduce all-cause mortality (regular sun means you’ll live longer), it seems use of tanning beds has the very opposite effect, and increases all-cause mortality (regular sun beds and you’ll die younger). At this point, scientists cannot give us a definitive reason why. Sun exposure is a positive gain, and we know that vitamin D is the mechanism. We also know that vitamin D supplementation offers similar benefits with little or no down sides, and it is cheap as well as effective. While here at Mother Nature’s Diet you will very rarely find us recommending any supplements, we do support vitamin D supplementation, as it seems to tick all the boxes. It works, most of us need it, and it’s cheap and easy. For us folks living up here in Northern Europe, I recommend taking a moderate-dose high quality vitamin D for the winter half of the year. You can buy a quality daily 5,000 IU supplement online for just five or ten pounds and one bottle will last you the entire winter. So in the summer half of the year you get out and get some sun, and in the winter half of the year you still get outside every day, because it’s good for you, but the sun over the UK is not strong enough in winter to stimulate vitamin D production, and the weather is usually too cold to get your short off anyway, so for ten quid per year, you take a supplement. There, that’s easy, right? But we have to wonder why sun exposure is broadly good and increases mortality, yet tanning beds are broadly bad and decrease mortality? Ummm…there is no definitive answer, but I’ll take a stab and give you my best guess, then you can decide for yourself. We know that natural sunlight is made up of a broad spectrum of light wavelengths, including visible light (enabling me to sit here and type this right now! ), infrared light, and ultraviolet (UV) light. We know that the UV light is made up of UV-A, UV-B, and UV-C. Some people say that the use of sunscreen is actually making skin cancers worse, not better. Experts say the jury is out from a scientific point of view, but they are not happy allowing sunscreen manufacturers to claim sunscreen offers any protection from skin cancer. I do not like sunscreen, as I am broadly not in favour of covering our skin with chemicals, some of which we absorb into our blood stream, so I admit that maybe my opinion is a little biased here. However, I think sunscreens work by blocking much of the UV-B of sunlight, but allowing most of the UV-A to still get through. Now, just like with tanning beds, the result is that sunlight filtered through a sunscreen, ends in a version of ultraviolet light that your DNA does not recognise reaching your skin. Your DNA will not know what this is, just that it is a potentially carcinogenic form of ultraviolet light. Confusion for your DNA, and a possible cancer risk in my opinion. Dietary vitamin D can help, so eat that oily fish! 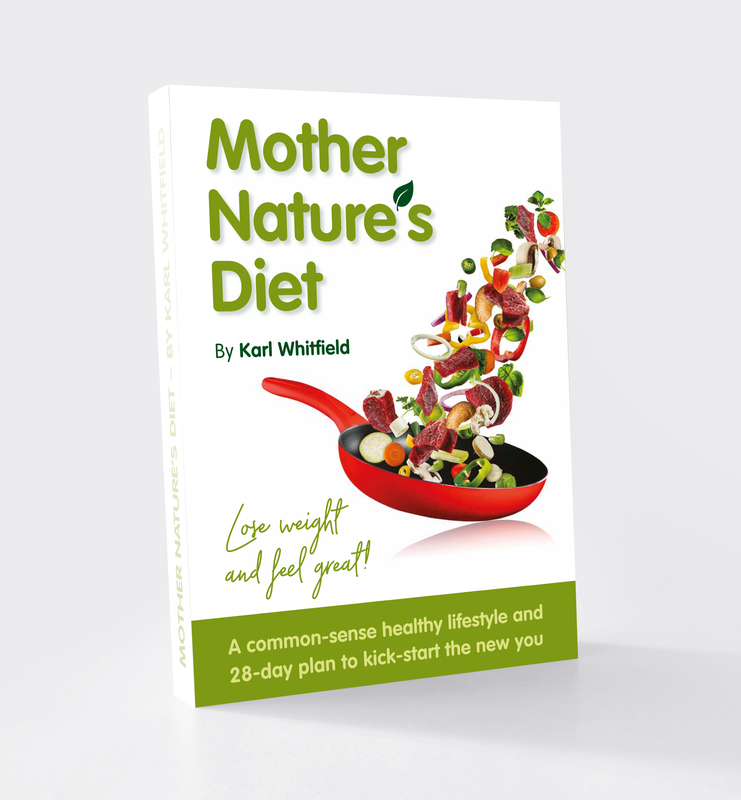 I don’t know all the answers, not for sure, but I think the Mother Nature’s Diet way is best – make time to get outside every day; enjoy the sunshine and fresh air of the great outdoors all year round. When it’s warm and sunny, get outside even more and show some skin, just ten minutes with your shirt off in warm sun will make more vitamin D than the best diet can generate in a week. Use a good quality vitamin D supplement in the winter half of the year, and make sure you have some oily fish in your diet. Be responsible in the sun, try not to use sunscreen, but instead when you feel you have had enough, or when you are starting to go pink, cover up or move into the shade. Little and often works, build up your skin colour over a period of time.